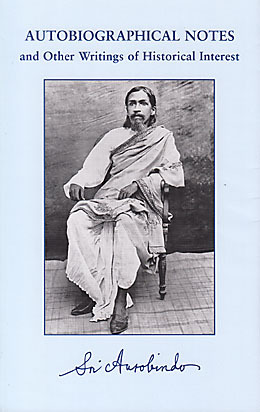 A new book has recently been published entitled Autobiographical Notes and Other Writings of Historical Interest, containing notes, letters, telegrams, and public statements written by Sri Aurobindo. To understand its history one needs to look back more than fifty years. In 1953 several parts of this current work, including most of the notes from the section “Corrections of Statements Made in Biographies and Other Publications”, some of the letters to the Mother and Paul Richard, and the message of 15 August 1947 were published in Sri Aurobindo on Himself and on the Mother, Volume I of the Sri Aurobindo International University Centre Collection. When the Sri Aurobindo Birth Centenary Library was published in 1972 Volume 26 On Himself: Compiled from Notes and Letters contained Parts One and Two of the 1953 book plus a large amount of new material. At just over 500 pages, On Himself consisted of “Part One: Sri Aurobindo on Himself” (439 pages) and “Part Two: Sri Aurobindo on Himself and on the Mother” (68 pages). Volume 25 of the SABCL was titled The Mother with Letters on the Mother and Translations of Prayers and Meditations and contained Part Three of the 1953 book along with a large number of additional letters. Both these books were reprinted several times after 1972. With the decision to publish The Complete Works of Sri Aurobindo came the task of reviewing and organising all the material collected for the volume meant to replace On Himself. Much related material had been published since 1972, about 90 pages in the Supplement to the SABCL and over 200 pages in other books and journals such as Champaklal’s Treasures, the Bulletin of the Sri Aurobindo International Centre of Education, and Sri Aurobindo: Archives and Research. New material had also been discovered and it was evident that there would be just too many pages for a single volume. Some of the material from On Himself easily migrated to other volumes: the 130 pages of letters on poetry went into Letters on Poetry and Art (CWSA, Vol. 27) and “Part Two: Sri Aurobindo on Himself and on the Mother” will be included in The Mother with Letters on the Mother. As the remaining 300 pages of On Himself and the vast amount of new material to be included consisted of both documentary pieces and Sri Aurobindo’s letters, it made editorial sense to have two new volumes, arranged by type of material. One is Autobiographical Notes and Other Writings of Historical Interest (available now in a soft cover edition and in the near future as Vol. 36, CWSA), and is made up of 600 pages of documentary materials. The other, Letters on Himself and the Ashram, will consist entirely of letters written to his disciples between 1927 and 1950 and will be more than 800 pages long. Some readers will be familiar with some of the material as it has appeared in previous books and journals. However, more than 100 pages of documents and letters are being published here for the first time. These include: information supplied to King’s College Register; a few corrections of statements made in biographies; some letters written while Sri Aurobindo was employed in Baroda; some letters to political and professional associates, letters to public figures, some early letters on yoga, some messages on the integration of the French settlements in India, letters to the editor of Mother India, and some statements and notices concerning the Ashram. See the write-up below for more details on the contents of the volume. This compilation focuses on the health of the body and its necessary role in the total transformation of the being as part of the manifestation of a divine life on earth. 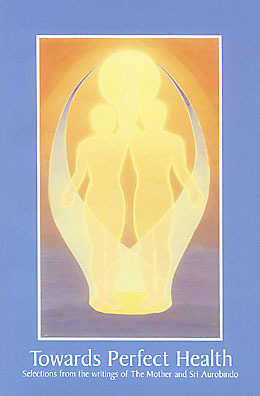 The material has been organised into sections that explain the importance of a healthy and conscious body reflecting an inner harmony and consecration, the origin and causes of illness, how the right attitude towards sleep, food, physical culture, and medicine, for example, can make the body healthier, and the secret of perfect health in the practice of Sri Aurobindo’s integral yoga. This book is a collection of vivid memories of two Ashramites: Motiba (Champaklal’s aunt) and Bansidhar (Champaklal’s brother). Both joined the Ashram in its early days, the mid-1920s, and had the privilege of personally serving Sri Aurobindo and the Mother. In addition to the fond recollections by those who knew them well, there are the reminiscences of Motiba and Bansidhar themselves, who shared some events of their early lives in the Ashram, and close to a dozen photographs depicting them over the years. An early patriotic composition in poetry.